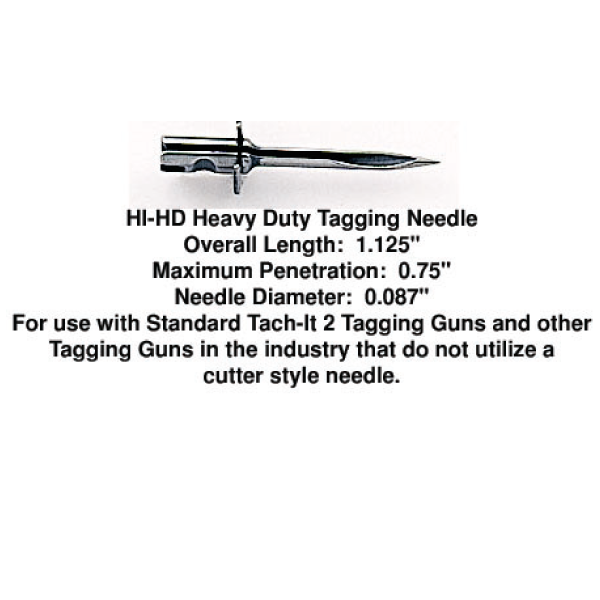 Tach-It Heavy Duty Hi-Impact Needle. The Tach-It HI-HD Hi-Impact Heavy Duty Needle is designed for use in the Standard Tach-It 2 Tagging Tool Style #TI2S and has an exclusive patented collar which supports the shank of the needle when penetrating hard to tag products such as carpets. HI-HD needles are packed 3 needles per package.